Lisa Marie Quinn, 48, of New York City, New York. Andrew M. “Mike” Mydlarz, 50, and his wife Susanne Hilgefort, 48, both of Stamford, Connecticut. Susanne and Mike passed away in a Piper PA-28R-201 Cherokee Arrow III plane crash on July 16th, 2016 in Esperance, New York. Also killed in the crash was their good friend, Lisa Quinn. Jason Klein, owner of Connecticut-based Force3 Pro Gear, a baseball equipment company, piloted the aircraft and survived. 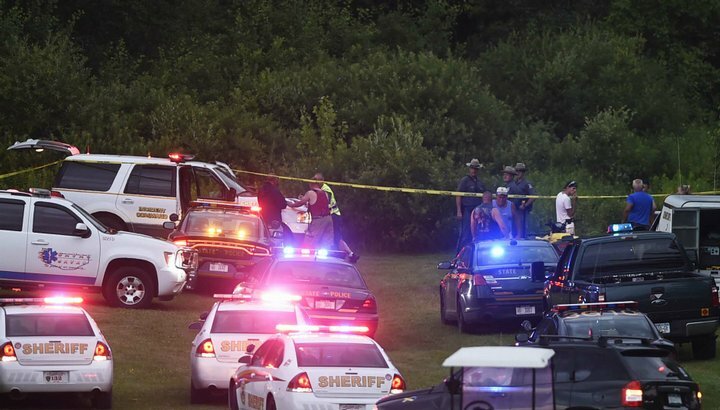 SCHOHARIE COUNTY — A plane that crashed shortly after takeoff last year, killing a Major League Baseball official and two others, was over its maximum allowable gross weight at the time, according to a new National Transportation Safety Board report. The report also cites air conditions at the Schoharie County airport as contributing to the accident. No probable cause was included in the report, which was filed online late last week. Such a determination could come in the final report, which may come by the end of the year. The small Piper PA-28 aircraft, with four people aboard, crashed into a wooded, swampy area about 6:45 p.m. July 16, 2016. All three passengers died. The pilot survived but suffered severe injuries. The plane was en route from the private Hogan Airport near the Schoharie County hamlet of Sloansville, town of Esperance, to Tweed-New Haven Airport in Connecticut. 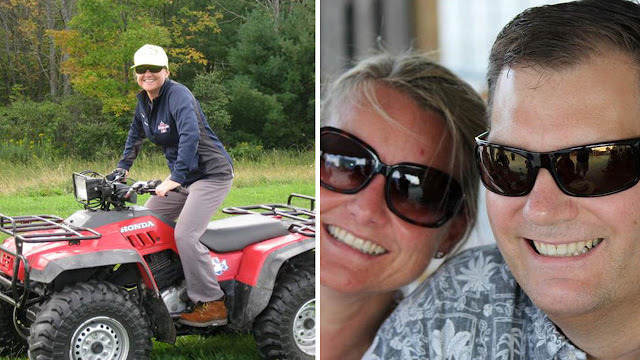 Those killed were Andrew M. "Mike" Mydlarz, 50, and his wife, Susanne Hilgefort, 48, both of Stamford, Connecticut, and Lisa Marie Quinn, 48, of New York City. Hilgefort served as MLB's senior director of broadcasting and business affairs and was one of the league's longest-serving employees, the league said. Her husband was an optician, according to their obituaries. 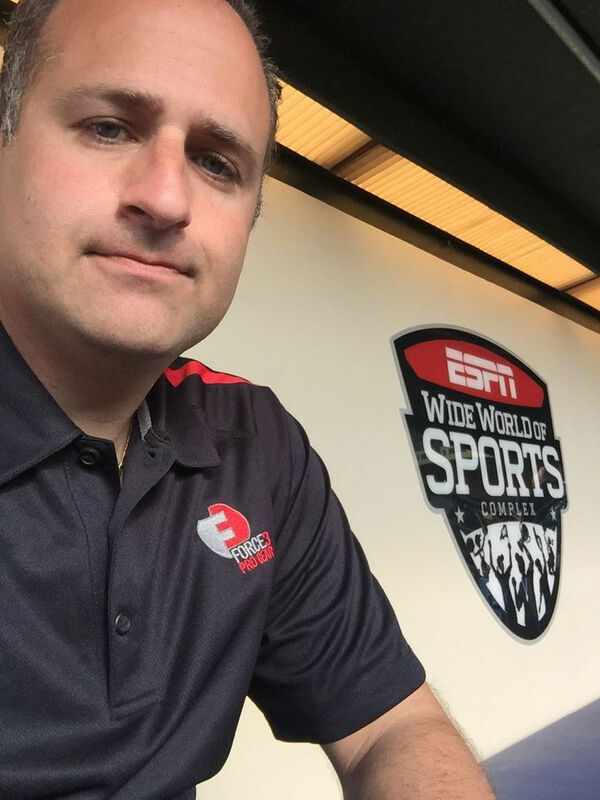 Jason Klein, owner of Connecticut-based Force 3 Pro Gear, a baseball equipment company, piloted the aircraft and survived. Klein continues to recover, more than 16 months later, a Force3 company spokeswoman said this week. NTSB investigators did not interview Klein, due to his injuries, the new report reads. Instead, he submitted a written statement in which he indicated he has no memory of the incident. The report also ruled out drugs or alcohol as factors, noting test results from samples taken from the pilot. The four people aboard the plane were in Esperance to attend a gathering of family and friends near the airfield, sheriff's officials have said. Several of those remaining at the gathering saw the plane gain altitude and then descend into the trees. They made their way to the crash site and found one man outside the plane with burns to his face and hands trying to help the others still in the wreckage, officials have said. The NTSB estimated the takeoff weight of the aircraft, including fuel and passengers, to be about 66 pounds over the maximum allowable gross weight. They estimated the takeoff weight as 2,816.5 pounds; the maximum is 2,750 pounds. At the maximum weight, the "estimated takeoff ground roll" is 2,180 feet, the report states. The plane got off the ground in about 1,500 feet, based on surveillance footage cited in the report. The report also highlights the air density at the Schoharie County airport. The report says an FAA pamphlet and pilot handbook warn that air densities at higher altitudes require increased takeoff distances and cause reduced rates of climb, among other complications. Witnesses described the takeoff as slow and sluggish. Another reported the plane as under full power the entire time. The engine did not fail, according to witnesses. The report confirms an examination of the engine showed no evidence of any pre-impact mechanical problems. Another issue cited by the report is that the "flap control handle" was found set at 10 degrees. The plane's handbook did not include performance charts or procedures for 10-degree flaps during takeoff. On July 16, 2016, about 1845 eastern daylight time, a Piper PA-28R-201, N2241Q, collided with terrain after takeoff from Hogan Airport (NY05), Esperance, New York. The private pilot was seriously injured, the three passengers were fatally injured, and the airplane was destroyed. No flight plan was filed for the personal flight conducted under the provisions of 14 Code of Federal Regulations Part 91. Visual meteorological conditions prevailed for the flight that originated at NY05 and was destined for Tweed-New Haven Airport (HVN), New Haven, Connecticut. According to a fixed base operator at HVN, on the day of the accident, the airplane was fueled with 14 gallons of 100LL aviation fuel, which brought the fuel level to "just above the tabs." The pilot then flew the airplane with the three passengers onboard from HVN to NY05. According to witnesses, the pilot and passengers attended a party at NY05. A witness reported that the accident airplane was the last of a group of airplanes to depart from NY05 and that another pilot had suggested to the accident pilot that he depart on runway 12L. A review of surveillance video revealed that the airplane took off on runway 30R, which was 3,000 ft long; the first 600 ft and the final 400 ft of runway 30R were turf, and middle 2,000 ft was asphalt. The surveillance video showed that the pilot began the takeoff roll where the paved section of the runway began (with 2,400 ft of available runway). During the takeoff roll, the nosewheel of the airplane lifted off and then settled back onto the runway. The nosewheel lifted again, and the airplane became airborne with about 900 ft of runway remaining. Several witnesses observed the airplane's takeoff from runway 30R. They consistently described the airplane's takeoff as "slow" and "sluggish" and reported that it entered a "gentle" left turn immediately after takeoff. One witness stated that the airplane attempted to rotate earlier than the other airplanes that were departing that day. When the airplane became airborne, "the nose was pitched so high that the wings wallowed;" the witness then reached for his phone to dial 911. The airplane overflew a hangar located left of the departure end of the runway at a low altitude as it continued its left turn before descending into trees. Another witness stated that "the airplane was under full power the entire time. The engine did not fail." Due to his injuries, the pilot was not interviewed. In a written statement, the pilot reported that he had "no personal recollection of the subject flight." Radar track data obtained from the Federal Aviation Administration (FAA) depicted the airplane in a left turn after takeoff. The airplane climbed to about 100 ft above ground level, and its groundspeed ranged between 58 and 67 knots from takeoff to the final radar target. The radar track ended about 100 ft beyond the departure end of the runway and about 1,000 ft left of the runway centerline. The pilot held a private pilot certificate with ratings for airplane single-engine land and instrument airplane. He was issued a third-class medical certificate on May 1, 2015. The pilot reported about 561 total hours of flight experience. The pilot's logbooks were not recovered and no determination could be made of his flight experience in the accident airplane make and model. The four-seat, low-wing, retractable-gear airplane was manufactured in 1977. It was powered by a 200-horsepower Lycoming IO-360 engine driving a McCauley two-blade, constant-speed propeller. The airplane's most recent annual inspection was completed on March 1, 2016, at 6,573.6 total aircraft hours. The airplane's weight and balance condition at the time of takeoff was calculated based on the estimated fuel onboard the airplane and the estimated weights of the passengers. According to the information provided by the fixed base operator at HVN, the airplane departed HVN with about 25 gallons or about 300 lbs of usable fuel. Fuel burn from HVN to NY05 was estimated to be about 8 gallons or 48 lbs. The airplane's takeoff weight at NY05 was calculated to be 2,816.5 lbs, which was 66.5 lbs above the maximum allowable gross weight of 2,750 lbs. There are no performance charts for any weight above the maximum gross weight. The performance charts indicated that at the airplane's maximum allowable gross weight, the estimated takeoff ground roll was 2,180 ft and the total distance to clear a 50-ft obstacle was 2,750 ft. According to the pilot's operating handbook for the airplane, the rotation speed for a normal takeoff was between 65 and 75 knots indicated airspeed (KIAS). With a flap setting of 25°, the rotation speed for a short-field takeoff was between 50 and 60 KIAS. After liftoff, the pilot was to increase airspeed to 55 to 65 KIAS. There are no performance charts or procedures for a 10° flap setting during takeoff. The performance charts do not consider the effects of a grass runway surface on takeoff and landing performance. The gross weight stalling speed with power off and full flaps is 55 KIAS, and, with flaps up, this speed is increased 5 knots. Loss of altitude during stall can be as great as 400 ft depending on configuration and power. The manufacturer did not publish power-on stall speeds for the airplane. The best rate of climb speed at gross weight is 90 KIAS, and the best angle of climb speed is 78 KIAS. At 1851, the weather reported at Albany International Airport (ALB), Albany, New York, located about 23 nautical miles east of the accident site, included wind from 030° at 3 knots, visibility 10 statute miles; few clouds at 5,000 ft, scattered clouds at 11,000 ft, broken clouds at 22,000 ft, overcast at 25,000 ft; temperature 27°C; dew point 16°C; and altimeter 30.04 inches of mercury. The calculated density altitude at NY05 was about 3,000 ft. The density altitude at HVN when the airplane departed at 1845 was 1,971 ft.
NY05 was a private-use airport at 1,260 ft elevation, configured with two parallel runways, each of which was 3,000 ft long. Runway 12R/30L was a turf runway, and runway 12L/30R combined both asphalt and turf surfaces. The elevation of HVN was 12.4 ft. HVN is equipped with two asphalt runways; runway 2/20 is 5600 ft long, and runway 14/32 is 3,626 ft long. The airplane came to rest in swampy, wooded terrain and was destroyed by impact and postcrash fire. All major components of the airplane were accounted for at the scene. The wreckage path was oriented on a 180° magnetic heading and was 60 ft in length. The main wreckage was oriented on a magnetic heading of 350° and rested upright about 1,400 ft beyond the departure end of the runway and about 700 ft left of the runway's centerline. The right stabilator and a portion of the right wing were separated and found in trees along the debris path. All flight controls surfaces were accounted for at the accident site, and flight control continuity was confirmed from the cockpit to each control surface. The left wing was separated at the wing root and had thermal damage on the inboard portion. The right wing was still attached to the fuselage and sustained substantial thermal damage. The flap control handle indicated a flap position of 10°. The cockpit and fuselage were destroyed by fire. Both propeller blades exhibited aft bending and leading-edge polishing. The landing gear was retracted. The engine was rotated by hand at the propeller, and continuity of the drive train, valve train, and accessory section were established. The sparkplugs showed signs of normal wear. The magnetos were destroyed by fire. Thumb compression was confirmed on all cylinders. Examination of the engine and disassembly of its accessories revealed no evidence of any preimpact mechanical anomalies. The FAA's Bioaeronautical Sciences Research Laboratory, Oklahoma City, Oklahoma, performed toxicological testing of samples from the pilot, which were negative for ethanol and drugs of abuse. • Reduced rate of climb. • Increased TAS (but same IAS) on approach and landing. • Increased landing roll distance. Because high density altitude has particular implications for takeoff/climb performance and landing distance, pilots must be sure to determine the reported density altitude and check the appropriate aircraft performance charts carefully during preflight preparation. A pilot's first reference for aircraft performance information should be the operational data section of the aircraft owner's manual or the Pilot's Operating Handbook developed by the aircraft manufacturer. In the example given in the previous text, the pilot may be operating from an airport at 500 ft MSL, but he or she must calculate performance as if the airport were located at 5,000 ft. A pilot who is complacent or careless in using the charts may find that density altitude effects create an unexpected –and unwelcome – element of suspense during takeoff and climb or during landing. • Power because the engine takes in less air. • Thrust because a propeller is less efficient in thin air. • Lift because the thin air exerts less force on the air foils. Injuries: 3 Fatal, 1 Serious. On July 16, 2016, about 1845 eastern daylight time, a Piper PA-28R-201, N2241Q, was destroyed by collision with terrain and a post-crash fire after takeoff from Hogan Airport (NY05), Esperance, New York. The private pilot was seriously injured and three passengers were fatally injured. Visual meteorological conditions prevailed for the flight that originated at NY05, and was destined for Tweed-New Haven Airport (HVN), New Haven, Connecticut. There was no flight plan filed for the personal flight conducted under the provisions of 14 Code of Federal Regulations Part 91. Several witness provided statements, and their accounts of the accident were consistent throughout. During the takeoff roll from runway 30R, the nose wheel of the airplane lifted off and then settled back onto the runway. The nose wheel lifted again and the airplane became airborne. Witnesses stated that the airplane rotated with approximately 500 feet of the 2,000-foot paved runway remaining. The airplane overflew a hangar at the departure end of the runway "at a very low altitude" as it began a left turn. Preliminary radar data provided by the Federal Aviation administration depicted a target correlated to be the accident airplane in a left turn after takeoff. The target climbed to about 100 feet above ground level (agl), and the radar track ended about 1,000 feet laterally beyond the departure runway. 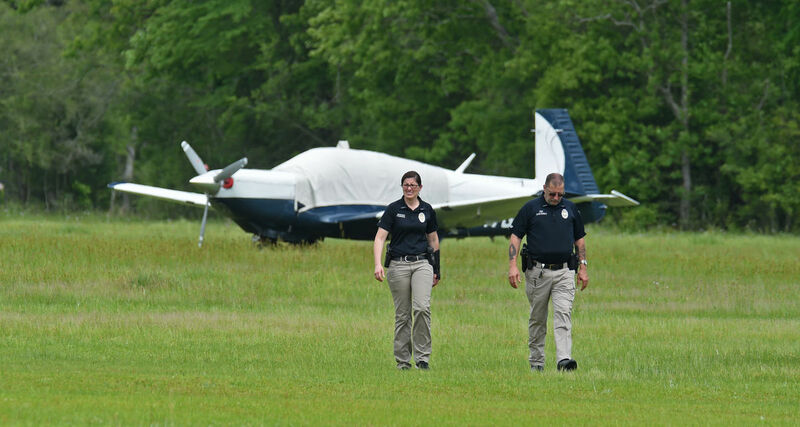 The airplane was examined at the accident site on flat, swampy, wooded terrain, and all major components were accounted for at the scene. The wreckage path began in trees about 50 feet above the ground, was oriented about 170 degrees magnetic. The main wreckage came to rest oriented 350 degrees magnetic and was consumed by post-crash fire. The right stabilator and a portion of the right wing were separated and found in trees along the debris path. All flight controls surfaces were accounted for at the accident site, and flight control continuity was confirmed from the cockpit to their respective control inputs. The left wing was separated at the wing root and had thermal damage on the inboard portion. The right wing was still attached to the fuselage and sustained substantial thermal damage. The cockpit and fuselage were destroyed by fire. The flap control handle indicated a flap position of 10 degrees. Both propeller blades exhibited aft bending. The landing gear was retracted. The four seat, low wing, retractable tricycle landing gear-equipped airplane, was manufactured in 1977. It was powered by a Lycoming IO-360, 200 horsepower engine, equipped with a McCauley two-blade, constant-speed propeller. The pilot held a private pilot certificate, with ratings for airplane single-engine land, and instrument airplane. He was issued a third-class medical certificate on May 1, 2015, and he reported 385 total hours of flight experience on that date. At 1851, the weather reported at Albany International Airport (ALB), Albany, New York, located about 23 nautical miles east of the accident site, included wind from 030 degrees at 3 knots, 10 statute miles visibility, few clouds 5,000 feet agl, scattered clouds at 11,000 feet agl, a broken ceiling at 22,000 feet agl, overcast skies at 25,000 feet agl. The temperature was 27 degrees C, the dew point was 16 degrees C, and the altimeter setting was 30.04 inches of mercury. NTSB investigators may not have traveled in support of this investigation and used data provided by various sources to prepare this aircraft accident report. 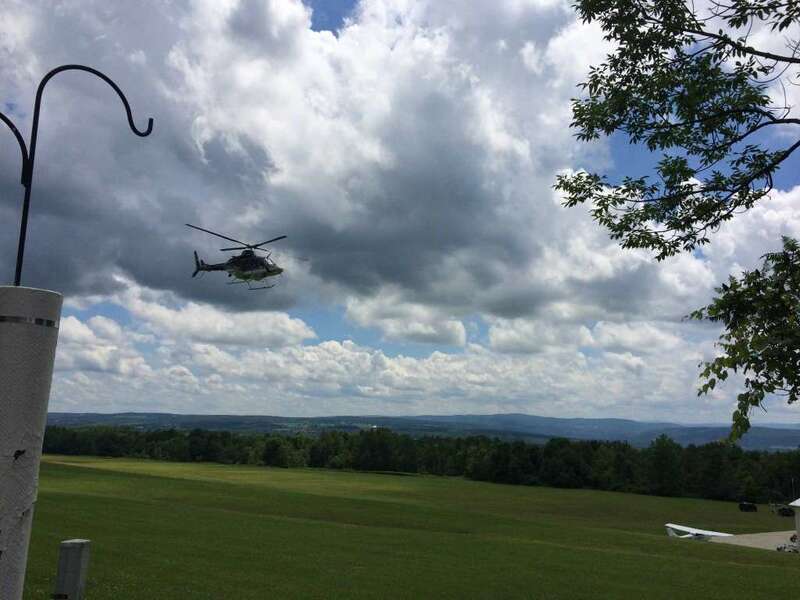 On August 8, 2016, about 1535 eastern daylight time, a Cessna 177B, N30923, was destroyed when it impacted trees and terrain while maneuvering near McDonough, New York. The private pilot and three passengers sustained minor injuries. Visual meteorological conditions prevailed and no flight plan was filed for the personal flight, which originated from Sidney Airport (N23), Sidney, New York and was destined for Brookhaven Airport (HWV), Shirley, New York. The airplane was operated under the provisions of 14 Code of Federal Regulations Part 91. During an interview, the pilot stated that prior to the accident flight, he filled the airplane's fuel tanks, for a total fuel load of 50 gallons. The purpose of the flight was to fly back to HWV, where the airplane was based, and give the three passengers an opportunity to view and photograph a local landmark on-the-way. After making two passes over the landmark, the passengers asked the pilot to flyover again, but at a slower speed. The pilot then fully deployed the flaps in preparation for the next flyover. During the flyover, the pilot noted that the airplane was slow, and had descended to a height near the tops of the trees. He added full power and fully retracted the flaps. The airplane did not appear to be climbing, and in "a wink of an eye the nose dropped." The pilot was then looking straight down at the ground. The pilot's next recollection was that the airplane was on the ground. He and his passengers subsequently egressed before the airplane was consumed by a postimpact fire. During separate statements to a Federal Aviation Administration (FAA) inspector, first responders and an NTSB investigator, the pilot did not report any mechanical functions during the accident flight. In a subsequent written statement he reported that the engine experienced a total power loss prior to the impact. One of the passengers reported that he and the other two passengers were taking pictures of the landmark when he noticed the airplane descending and then hitting a tree. He did not remember hearing anything strange before the accident. Another witness that was standing on the north side of the landmark, saw the airplane fly overhead three times. During the third flyover, the airplane was flying north very low near the tree tops. He then heard the breaking of branches and a loud bang. He stated he ask someone to call 911 while he tried to help the passengers out of the airplane. Shortly after they all were out of the airplane, it erupted in flames. Examination of the wreckage by an FAA inspector revealed that the airplane was destroyed by fire. The engine was intact, but exhibited extensive thermal damage. All other components were unrecognizable. The weather conditions reported at Greater Binghamton Airport, Binghamton, New York, located 16 nautical miles south of the accident site, at 1553, were clear sky, wind calm, and visibility 10 statute miles. The pilot held a private certificate with a rating for airplane single-engine land. He also held a third-class medical certificate, issued on June 24, 2016. His last flight review was completed on June 27, 2015. At the time of the accident, the pilot reported 378 total hours of flight experience, with 100 hours in the same make and model as the accident airplane. The private pilot, who was also the owner/builder of the experimental, amateur-built, tailwheel-equipped airplane, was conducting a cross-country personal flight. He reported that, during landing, a rudder pedal torque tube separated, which resulted in a loss of directional control and the airplane departing the right side of the runway. Metallurgical examination revealed that the vertical torque tube for the right rudder pedal had fractured at a fillet welded intersection where it attached to a horizontal torque tube. The fracture surface exhibited a small thumbnail-like fatigue region followed by an overstress region. The pilot had assembled the airplane about 16 years before the accident, and it had accrued about 551 hours of operation. The actual kit model was manufactured 22 years before the accident, and 1 year later, the kit manufacturer published a service letter (SL) applicable to the accident airplane model, which advised owners that the company had recently noticed signs of fatigue in rudder pedal torque tubes. The SL instructed owners to inspect the areas for fatigue and offered a reinforcement kit. Further, 6 years later, the kit manufacturer redesigned the rudder pedal torque tubes for subsequent models to include a reinforcement similar to the reinforcement that had previously been offered in the reinforcement kit. The accident airplane was not equipped with the reinforcement kit recommended in the SL nor was it equipped with the newer rudder torque tube design. The failure of the right rudder pedal torque tube due to fatigue, which resulted in a loss of directional control during landing. Also causal to the accident was the airplane owner/builder's failure to install a rudder torque tube reinforcement or replacement in accordance with the kit manufacturer's recommendation. On August 20, 2016, about 1000 eastern daylight time, an experimental amateur-built Kitfox 4-1200, N51TM, was substantially damaged while landing at Canandaigua Airport (D38), Canandaigua, New York. The private pilot was not injured. The airplane was registered to and operated by the private pilot as a personal flight conducted under the provisions of 14 Code of Federal Regulations Part 91. Visual meteorological conditions prevailed and no flight plan was filed for the flight that originated from Whitfords Airport (B16), Weedsport, New York, about 0920. The pilot reported that while landing on a turf airstrip adjacent to runway 31, a rudder pedal torque tube separated and the airplane departed the right side of the runway. The airplane subsequently impacted an uneven field and came to rest upright. Examination of the wreckage by a Federal Aviation Administration inspector revealed substantial damage to the wings and fuselage. The separated section of rudder pedal torque tube was retained and forwarded to the National Transportation Safety Board Materials Laboratory for further examination. Metallurgical examination revealed that the vertical torque tube for the right rudder pedal fractured at a fillet welded intersection where it attached to a horizontal torque tube. The fracture surface exhibited a small thumbnail like fatigue region followed by an overstress region. The single-seat, high-wing, tailwheel-equipped airplane, serial number C9406-0031, was assembled from a kit by the pilot in 2000 and issued an FAA experimental airworthiness certificate. Its most recent condition inspection was completed on August 8, 2016. At that time, the airframe had accumulated 547.4 total hours of operation. It had flown an additional 3.3 hours from the time of the last inspection, until the accident. The FAA inspector that examined the wreckage further stated that although assembly of the accident airplane was completed in 2000, the kit was actually a 1994 model. On August 22, 1995, the kit manufacturer released Service Letter No. 47 (SL-47), applicable to the accident airplane model, which advised owners that the company had recently noticed signs of fatigue in rudder pedal torque tubes. The SL instructed owners to inspect the areas for fatigue and offered a reinforcement kit (P/N 35015.000) for $59.95. Further, in 2000, the kit manufacturer redesigned the rudder pedal torque tubes for subsequent models, to include a reinforcement similar to what had previously been offered in the reinforcement kit. The inspector added that the accident airplane was not equipped with the newer rudder torque tube design, nor was it equipped with the reinforcement kit offered in SL-47. The student pilot successfully performed two touch-and-go landings and returned to the same runway to perform a third. He reported that, after a normal touchdown, he applied engine power, and at rotation speed the airplane veered to the left. He was unable to correct with right rudder input. The airplane subsequently traveled off the side of the runway and impacted signs, which resulted in damage to both left and right wing fuel tanks. The pilot continued the takeoff, and, after becoming airborne, noted fuel streaming from the left fuel tank; the engine subsequently experienced a total loss of power. The pilot maneuvered the airplane and landed uneventfully on a road. Postacccident examination of the airplane revealed no evidence of preimpact mechanical malfunctions or failures that would have precluded normal operation. Neither fuel tank contained fuel, and it is likely that the loss of engine power was the result of fuel exhaustion caused by the breaches of the fuel system. The student pilot's failure to maintain directional control during takeoff, which resulted in a collision with runway signs. The commercial pilot stated that, during takeoff from a turf runway, the left main landing gear collapsed but did not separate from the airplane; the pilot continued the takeoff. During the subsequent landing, the airplane touched down, nosed over, and came to rest inverted. Examination revealed that the left main landing gear strut mount nut was stripped, consistent with wear, and the bolt was missing. The airplane was manufactured in 1942, and there was no required inspection for the gear strut mount. The most recent inspection was completed about 38 flight hours before the accident. Failure of the gear strut mount nut due to wear. FARMINGDALE, N.Y. (CBSNewYork) — After a string of small plane crashes in the New York area, the NTSB is hosting a small plane safety seminar — the first on Long Island. Every day, dozens of small planes lift off from Republic Airport in Farmingdale. As CBS2’s Alice Gainer explained, the airport is surrounded on all sides by neighborhoods, hotels, and a busy mall where shoppers worry about the planes just hundreds of yards away. “There are a lot of lives around here, and like any plane crash it would be a disaster,” one shopper said. The fears are not unfounded. Pilots in both of the last two small plane crashes last month took off from Republic Airport. One was badly hurt after crashing his malfunctioning plane on the streets of Bayonne, New Jersey after just missing homes and businesses. The other pilot and a passenger were killed when they crashed into trees at Gabresky Airport in Westhampton Beach. The threat to the public prompted Senator Chuck Schumer to arrange a small pilot training seminar — run by the NTSB — later this year. Teachers at SUNY Farmingdale’s flight training school based at Republic Airport believe the extra training could help the recreational flyer. “The most important part of being a proficient, good pilot is recurrent training. You have to stay current, you have to fly,” Dr. Michael Canders said. Student pilots said they’re always conscious of the threat to neighbors when practicing their flights near the airport. “It is an issue and a threat, especially because on Long Island there are congested areas,” John Pelosa said. Recreational pilot Paul Delmore said pilots are already well trained, and the threat is being overblown. “There’s a threat from everyone. There’s a threat from walking across the parking lot,” he said. A spokesman for Senator Schumer told CBS2 that any pilots who sign up for the seminar will qualify for a discount on insurance. U.S. Senator Charles E. Schumer announced, today, that after his push asking the National Transportation Safety Board (NTSB) to undergo a comprehensive safety review in response to a string of small plane crashes on Long Island, the agency has agreed to host a first-ever plane safety seminar on Long Island. Seminars like the one committed to Long Island have been extremely popular and helpful in other parts of the country. These seminars are well attended, make the skies safer, and even allow pilots educational credits they can use to lower their insurance costs. Earlier this year, Schumer urged the NTSB to look into the alarming spate of crashes and determine whether additional steps are necessary to ensure safer skies. Schumer’s renewed call came when two small plane crashes occurred just days apart; one plane crashed smack in the middle of a neighborhood in New Jersey and nearly hit a home after taking off from Long Island, and the other crashed on Long Island. However, Schumer said that at least 18 other small plane crashes occurred in New York State last year, including 10 on Long Island alone. Schumer said that the NTSB’s decision to hold a seminar on Long Island will help prevent future tragedies. According to the NTSB, since 2012, there have been 156 aviation accidents in New York and one-third of the accidents were due loss of control in-flight or on the ground. The NTSB says preventing loss of control in-flight within the aviation community is on its “Most Wanted List of Transportation Safety Improvements.” According to the NTSB, other causes of aviation accidents include loss of engine power, controlled flight into terrain, and hard landings. In response to Schumer’s push, the NTSB has said they will host an aviation safety seminar on Long Island this year and invite members of New York’s aviation community to attend. According to the NTSB, possible topics to be addressed may include: in-flight loss of control, and other issues that pilots believe to be important to air safety, like, mechanics or up-keep. February 19, 2017- a single-engine Piper PA-28 took off from Republic Airport and crashed into a residential area of Bayonne, N.J. Only the pilot suffered minor injuries, but the plane crashed in a neighborhood and nearly hit a home. February 26, 2017- a Nation F. being used for practice at the Francis S. Gabreski Airport in Westhampton Beach crashed feet away from the runway causing two fatalities and leaving one passenger with minor injuries. On February 12th, a Cessna 152 taking off from Long Island MacArthur Airport caught fire after landing at Calabro Airport in Shirley. The NTSB has determined the probable cause to be the pilot’s failure to maintain adequate terrain clearance while landing, resulting in a collision with a snow berm, nose gear collapse and post impact fire. On February 20th, a Piper Archer flying from Fitchburg Municipal Airport in Massachusetts crashed into Setauket Harbor; one passenger was tragically killed. On March 5th, a Cirrus SR22 flying from Rhode Island crash landed in Hauppauge industrial park. On March 11th, a Cessna 152 flying from Republic Airport made an emergency landing on a Kings Park beach. On April 10th, a Piper Cherokee flying from the Bayport Aerodrome crashed and caught fire on a Bayport residential street. The pilot and passenger were injured. On April 18th, a Cessna 172C, N1863Y collided with trees and terrain during takeoff from Westmoreland, New York. The private pilot and one passenger were fatally injured and one passenger sustained minor injuries. On April 30th, a 1947 Stinson made an emergency landing in Riverhead. No injuries were reported. On May 3rd, a Beechcraft V35B Bonanza flying from North Myrtle Beach to Connecticut broke up midair and crashed in Syosset; all three passengers on board were tragically killed. 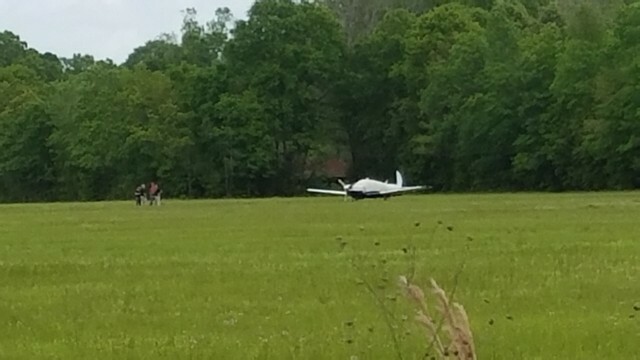 On May 19th, a Piper PA-28-180, N7781W, experienced a loss of control during a touch and go landing and collided with airport signage at Genesee County Airport. The pilot was not injured. May 27: The pilot was killed when a World War II-era single-seat P-47 Thunderbolt fighter plane crashed into the Hudson River during a promotional flight for the American Airpower Museum. June 20: A twin-engine plane was badly damaged when it crash-landed at Republic Airport. The pilot, who said the plane’s landing gear and a warning system failed, and a second occupant were not injured. The aircraft was owned by Ponderosa Air. On July 2, a Fleet 16B biplane, N666J, was damaged during landing at Old Rhinebeck Airport. The pilot and passenger were not injured. On July 16, a Piper PA-28R-201, N2241Q, was destroyed by collision with terrain and a post-crash fire after takeoff from Hogan Airport. The pilot was seriously injured and three passengers were fatally injured. On August 8, a Cessna 177, N30923 was destroyed when it impacted trees and terrain while maneuvering near McDonough, New York. The pilot and three passengers incurred minor injuries. On August 20, an experimental, amateur built Kitfox 4-1200, N51TM, was substantially damaged while landing at Canandaigua Airport. The pilot was not injured. On September 25, a Cessna 120, N3580V and a Piper PA-28-140, N612FL, collided in midair while flying over North Collins, New York. The Cessna was destroyed and the pilot was fatally injured. The Piper was destroyed and the pilot and its passenger were fatally injured. On October 31, a Cessna TR192, N4657S was substantially damaged when the main landing gear collapsed while landing at Watertown International Airport. The pilot was not injured. Dec. 11: Two men were rescued from frigid waters off Shoreham when their single-engine aircraft crashed into the Long Island Sound. The men swam from the plane to a large boulder, which they clung to until rescuers arrived. I write to request the National Transportation Safety Board (NTSB) undertake a comprehensive safety review of the recent string of small plane accidents on Long Island and across the country in order to help develop recommendations that could prevent future incidents. As the independent and objective federal agency charged by Congress with conducting thorough safety investigations, I call on your expertise and authority to immediately begin a comprehensive review of these repeated incidents. I strongly urge you not just to conduct yet another investigation following the recent crash in Southampton, NY, but to also undertake a comprehensive and system-wide review to understand why these accidents are happening and what can be done in order to decrease the occurrences. The number of airplane crashes across the system must be reduced. As you know, on February 26, it was reported that a single-engine plane crashed in Southampton, NY, killing two people and injuring a third on the aircraft. Last May, a single-engine plane crashed in Syosset, New York killing three people on board and showering debris over a two-mile heavily populated area, close to two public schools. In the months before that incident, a small plane crashed in a Bayport neighborhood when the pilot lost power shortly after takeoff from a nearby airport and a Cessna flying from Republic Airport had to make an emergency landing on a Kings Park beach. Fortunately, in both incidents the passengers survived and neither incident harmed anyone on the ground. There is considerable and well-founded concern on Long Island about the frequency of these accidents, their lethalness to those involved, and their potential to induce catastrophe to residents on the ground. Thus far, horrible collateral damage has been avoided, but the potential for this kind of devastating harm remains all-too-possible, and your agencies’ recommendations on how to reduce this risk is sorely needed. The NTSB has a long history of strong and independent safety advocacy. In that light, we ask that, as you examine the most recent accident in Southampton, you broaden your scope. We strongly urge you to not look at this accident just as an isolated incident, but rather to take a thorough examination of all related safety issues both in New York and across the country. Last May, I wrote to Federal Aviation Administration (FAA) Administrator Huerta expressing my concern about a recent uptick in aviation accidents on Long Island and asked the FAA to examine if this is a trend. I also wrote to the FAA last June over my concern about continued reports of drops in RAMP inspections – critical safety checks that occur before flights take off. With both the reduction in inspections and the continued instances of small plane crashes on Long Island, I believe strongly that the time has come for NTSB to conduct a top to bottom review of this issue. Thank you in advance for your attention to this important matter. I look forward to your response and to reviewing the findings of the examination to reduce the number of accidents. Should you have any additional questions, please do not hesitate to contact my office. WASHINGTON -- Audio posted online reveals the tense moment in the cockpit when a pilot died during a flight. American Airlines CEO Doug Parker released a statement to employees saying one of its pilots died in flight, CBS News learned Thursday. William “Mike” Grubbs, a 58-year-old Dallas-based pilot, died Wednesday while American Airlines Flight 1353 was on approach to Albuquerque, New Mexico from Dallas-Forth Worth. The Boeing 737 had 136 passengers and six crew members aboard; it arrived in New Mexico shortly after 3:30 p.m. local time. The plane taxied normally to a gate and was met by paramedics. Pilot: Tower, American 1353, we’ve got an issue with one of the pilots, I’ve declared an emergency, I’d like to have the emergency crew on landing. Tower: Ok. Which gate are you going too? Pilot: We’re going to Bravo 1. Thank you. Pilot: The copilot has passed out. Grubbs had been with the airline since 2010 after working for American’s regional subsidiary Envoy. Deaths like this are “extremely rare,” according to an FAA spokesperson. At least seven commercial pilots have now died during flight in the last 23 years. The most recent incident occurred in Oct. 2015, as previously reported by CBS News. Commercial airline pilots under 40 have a physical once a year, and those over 40 have to pass stringent physicals every 6 months. EKGs start at age 35. There is no word yet from the coroner on the cause of death. 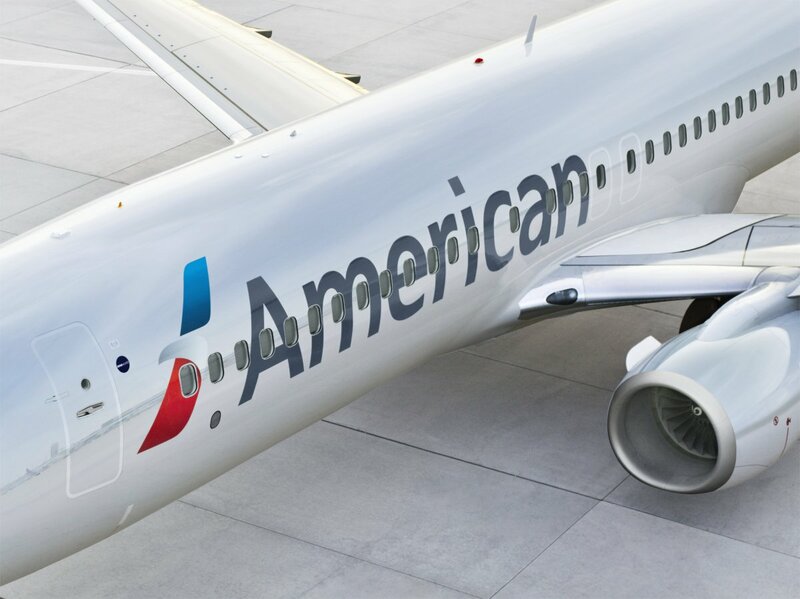 ALBUQUERQUE, N.M. — An American Airlines first officer died after becoming ill just before his plane landed in Albuquerque. During the flight from Dallas-Fort Worth, the captain declared an emergency and landed the plane at Albuquerque International Sunport on Wednesday night. The plane taxied to a gate and was met by paramedics, who were unable to save William "Mike" Grubbs, 58, a Dallas-based pilot. Passengers were apparently unaware of the gravity of the incident during the last minutes of the flight but said the captain told them after landing that they would not be able to exit the plane immediately because of a medical emergency. As of midday Thursday, there was no word on the cause of death. Grubbs joined American in 2010 as a pilot of Boeing 737s after flying smaller planes for American Eagle. American Airlines CEO Doug Parker expressed his sadness and gratitude to the crew of Flight 1353 in a letter to employees. 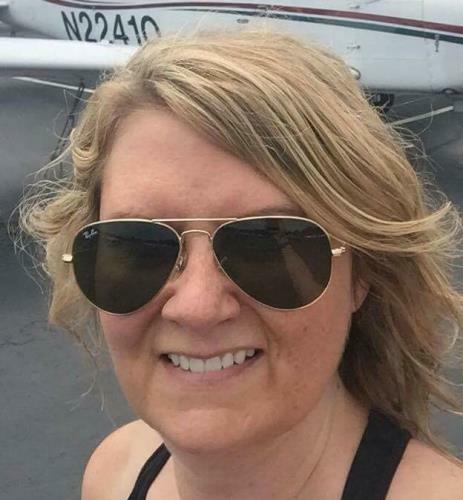 The pilots' union said Grubbs lived in Lebanon, Tennessee, and said it was offering help to his family. He was married and was the father of a son, who will graduate from college in May, according to the airline. Pilot deaths during flights are rare. In most cases, the other pilot in the cockpit has been able to land the plane without further incident. In 2015, the captain of an American Airlines jet became ill and died during a late-night flight from Phoenix. The co-pilot of the Boston-bound plane made an emergency landing in Syracuse, New York. A United Airlines pilot suffered a heart attack during a flight from Houston to Seattle that made an emergency landing in Boise, Idaho. He died several hours later at a hospital. Pilots must pass regular medical exams. In 2009, the Federal Aviation Administration raised the mandatory retirement age for airline pilots from 60 to 65, and some have suggested raising it again to help deal with a shortage of pilots. Michael Preston, sporting a clean-shaven look in his latest mugshot. UPDATE: Officials with the airport and Federal Aviation Administration dispute the police account, saying a landing light was never turned off. Backup radar covered the radar tower that was turned off, they say. Officials still haven’t commented on how Preston accessed the secure area. Michael Preston's most recent alleged vandalism could have caused an airplane crash, records indicate. 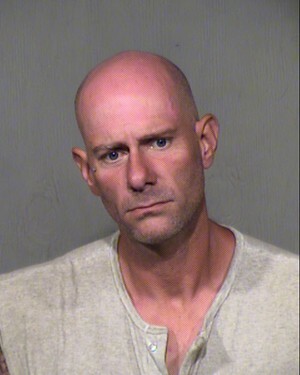 As New Times reported on Wednesday, the 41-year-old homeless man was arrested on suspicion of vandalism at Phoenix Sky Harbor International Airport that shut off a radar tower and an airport landing light on February 20. Five days earlier, Preston had been arrested in a similar case involving transmission-tower equipment on South Mountain, but he was released from jail without bail. Police said that sometime between about 10 p.m. on February 19 and 5 a.m. on February 20, Preston entered a secured area on a Sky Harbor airfield without authorization. He shut off breaker switches for climate-control units that cool airport radar, according to a police booking sheet. The subsequent overheating caused wire damage that knocked out a radar tower and a radio transmitter. He removed batteries and wires to an airport gate, damaging the gate electronics. And he opened an electrical panel and shut off breakers at the end of runway 25L, "causing the landing light to turn off." "These lights are critical for the safe landing of aircraft on this runway at a major and very busy airport," police said. Officials didn't say how long the equipment remained disabled. Preston also reportedly damaged a power box and antenna for National Weather Service equipment. The equipment is owned and maintained by the city of Phoenix for Sky Harbor, police said. New Times asked the city of Phoenix Aviation Department about the incident; officials said they would look into the matter and possibly release a statement. The Sky Harbor incident wouldn't have happened if Preston had been held on bail following the alleged vandalism at South Mountain. In that case, police said that about 7 a.m. on February 15, Preston crawled under a security fence on the summit of South Mountain and damaged transmission-tower equipment, knocking out several local TV and radio signals for about an hour. Police wanted him charged with felony trespassing, criminal damage, and burglary. 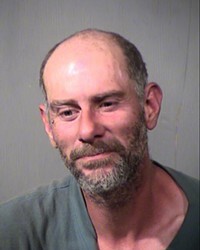 Early the next day, Maricopa County Court Commissioner Sigmund Popko released Preston on his own recognizance. The move follows a trend in the Arizona court system, to be made official in April, that calls for the release of crime suspects who can't afford to post bail if they're not deemed a flight risk. Police considered Preston an investigative lead in a third case, though it's not clear whether Popko had received that information. A few hours before the early-morning South Mountain incident, police believe that Preston damaged radio and TV towers on Shaw Butte in North Phoenix, about 20 miles from South Mountain. Armed with a court order, police found Preston on March 15 and obtained his DNA and fingerprints. He was released pending the results. A few days later, the crime lab matched Preston's fingerprints to those found at the Sky Harbor crime scene. Late Saturday night, police located Preston again. He tried to flee from officers, records state, but was arrested. Police, again, are asking for felony charges of trespassing, criminal damage and burglary. As of Thursday, Preston still hasn't been charged with any crime, records show. This time, Preston's being held on a $5,000 cash bond. Court paperwork states that Preston "poses a danger to the community based on the alleged facts in this case." Heather Lissner, a city of Phoenix spokeswoman, said that Preston's actions did not affect airport operations. "No runway or taxiway lighting was turned off," she said. "One obstruction light on a radar tower was damaged and had to be replaced. There was some FAA navigational lighting which was not in use at the time turned off for up to two hours." Ian Gregor, spokesman for the FAA, agreed that airport operations were unaffected. However, officials still have not answered how Preston was able to access the secure area, or what is being done to prevent someone else from doing it. Engine failure and forced landing in field. BAKER – Two people were uninjured when the small plane they were in went down in a field northeast of the airport Wednesday morning. 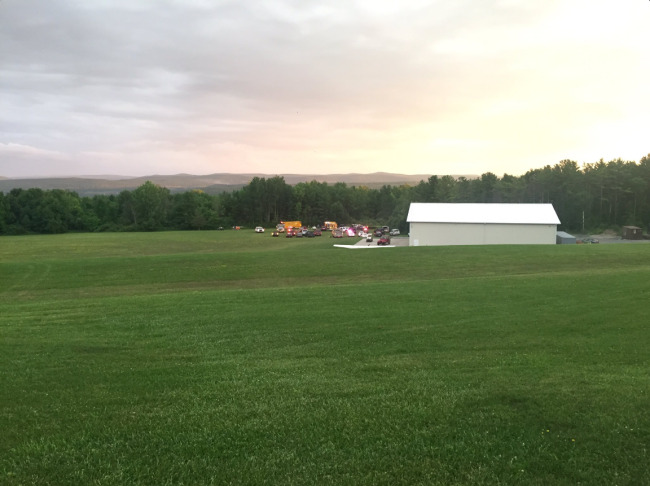 According to sources, the plane experienced oil pressure problems and the pilot landed in a field off Carey Road. Video from WBRZ's news crew first on the scene showed the plane sitting in the field with no apparent damage. The Mooney M20K 231 is registered to Corporate Transport LLC in St. Augustine, Florida. Flight tracking data showed the plane left Austin and originally charted a course for New Orleans' smaller Lakefront Airport but diverted to Baton Rouge. The plane took off from Texas around 8:45 and was scheduled in Louisiana around 11:15. Emergency officials were dispatched to the landing between 11:15 and 11:30. The flight path shows the plane had to fly north and around a line of severe weather that is moving from Texas to Louisiana. Numerous law enforcement and emergency responders were called to the field where the plane landed as a precaution. According to Central Fire Department officials, the plane will be removed from the field on Thursday.